A 2-year-old boy who had been denied a kidney transplant from his father after his dad violated his probation, was rushed to the emergency room Sunday morning for treatment of a peritonitis infection. Two-year-old A.J. Burgess was taken to the emergency room Sunday morning for treatment of a peritonitis infection. A.J. has been waiting for kidney transplant surgery. The boy's father, Anthony Dickerson, is being denied the opportunity to donate his healthy kidney to the boy, despite being a perfect match because Dickerson recently violated his probation. The family's story has spread worldwide since being profiled on 11Alive News earlier this month. "Today has not been a good day for baby AJ or the family. But they remain hopeful, strong in spirit even as his body weakens," said Attorney Mawuli Davis. 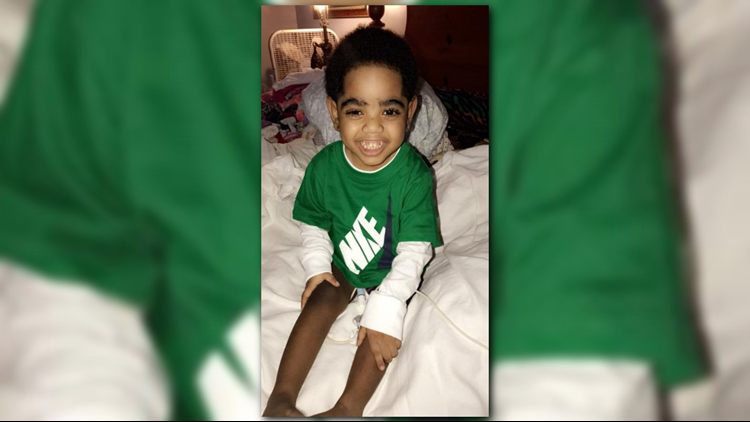 U.S. Rep. John Lewis and Hank Johnson, along with the Coalition to Support Baby AJ’s Transplant, are calling for a prayer vigil Sunday night at 7:30p.m. outside of Egleston Children’s Hospital. A.J. was born without kidneys, and while his dad is a perfect match, they had a problem once they learned that Dickerson had violated his probation. Emory Hospital told the family he would have to provide evidence of "good behavior" for the next three to four months before they would permit him to donate his kidney to his son. They said they would re-evaluate the situation in January 2018, but the family fears that may be too late. "The family is asking for people of all faith traditions to be in prayer today for Baby AJ. His spirit is strong but his body is weakening." The family has been desperate to save A.J. 's life, and is asking for assistance from anyone who may be able to expedite the process of transplanting a new kidney for A.J.